The recently opened Melbourne flagship store for The Daily Edited is a delicate balance of sweet sophistication and cool minimalism. 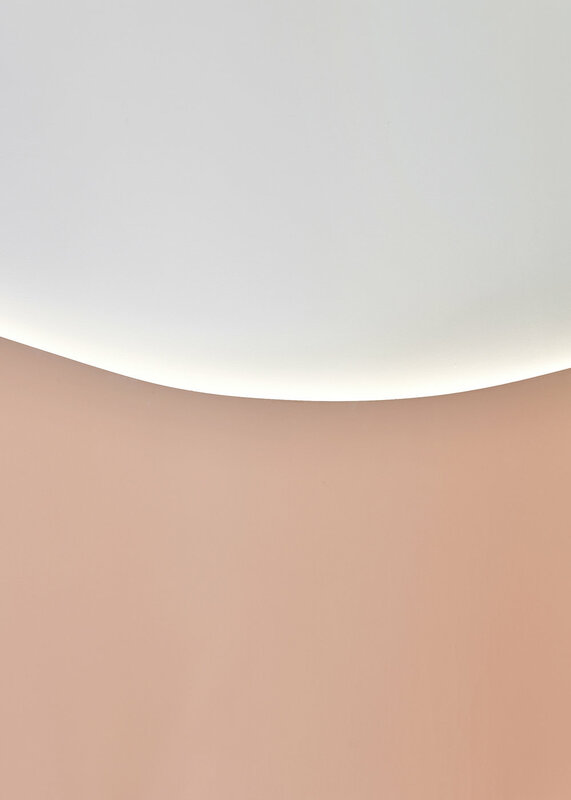 While the brand is largely an e-commerce venture, the new Melbourne flagship was developed to offer customers the opportunity to visit and linger in a physical space, becoming immersed in a truly bespoke environment. In response to the store’s modest floor area (60sqm) decorative, ornamental elements were stripped away leaving a few key design pieces to stand comfortably and confidently as focal points within the space. The volume of the store is accentuated by an illuminated datum line which creates a greater sense of height and spaciousness. Custom-designed joinery elements including a natural stone table and point of sale bench take pride of place and double as precious, covetable objects. Themes including rapidly advancing technology and the intangible qualities of e-commerce were a source of inspiration, influencing the forms and detailing throughout the interior.The design includes a subtle nod to space-age, futuristic aesthetics; soft light emits from behind the curvaceous walls and integrated joinery units. 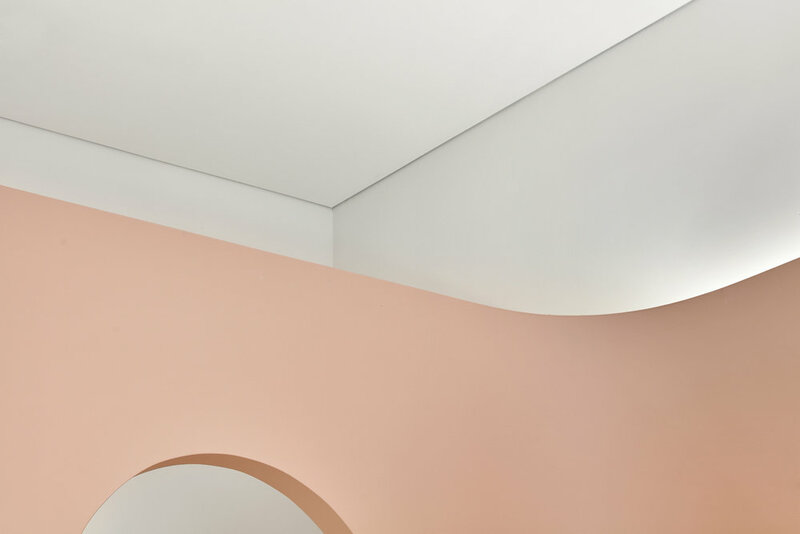 A sweeping curve wraps the interior from the entry in and around the four walls of the store. 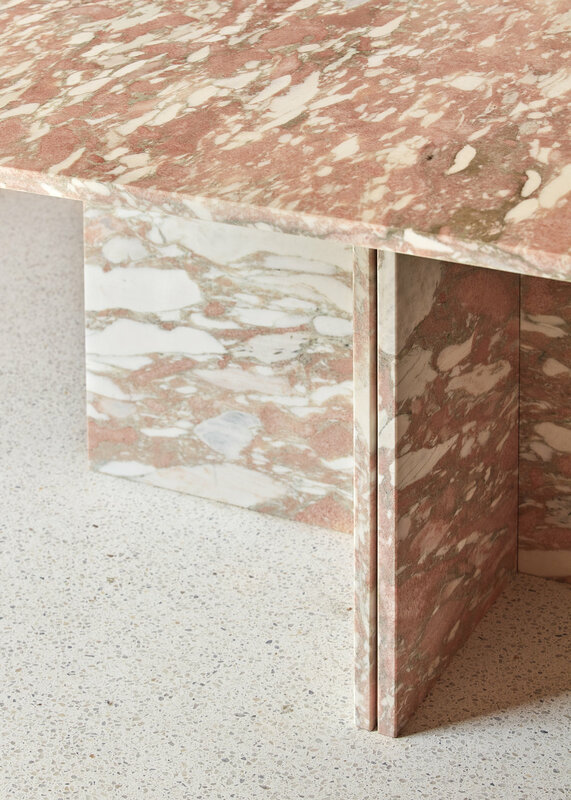 A reductive material palette including Norwegian rose marble, white terrazzo, and terracotta-tinged pink feels feminine but not fussy. While pink is undoubtedly the hero, the aesthetic leans toward a refined kind of grown up-cool.